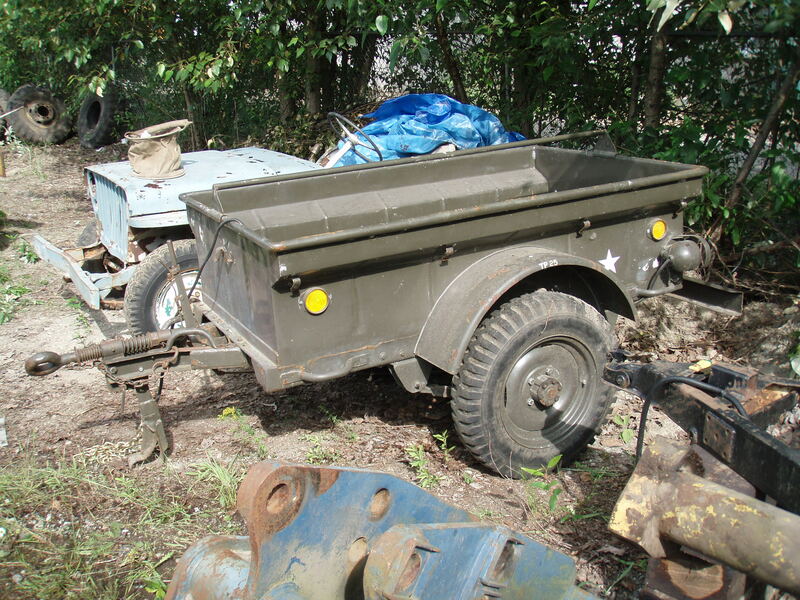 I would usually have one ex-military vehicle at a time, but had to sell one in order to get one. 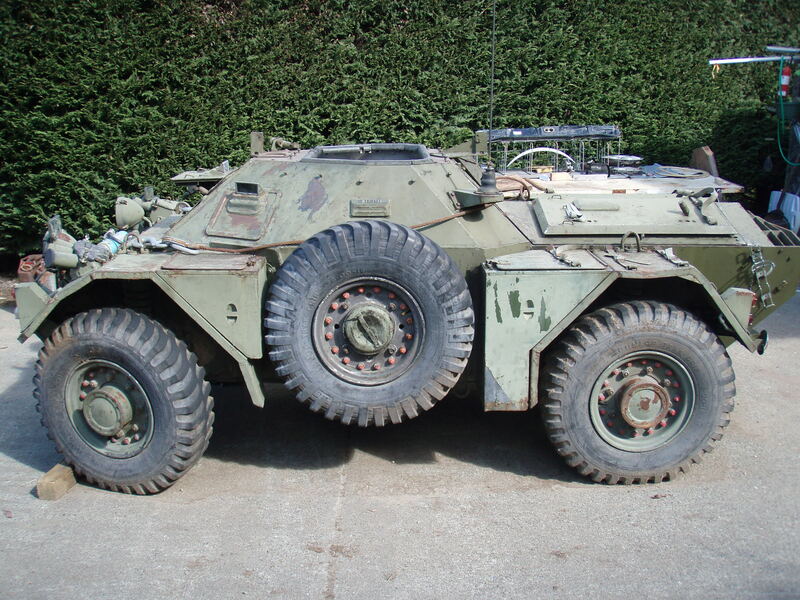 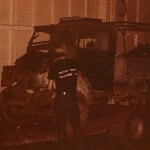 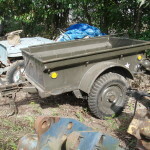 I have no military vehicles now and am selling off reference books etc. 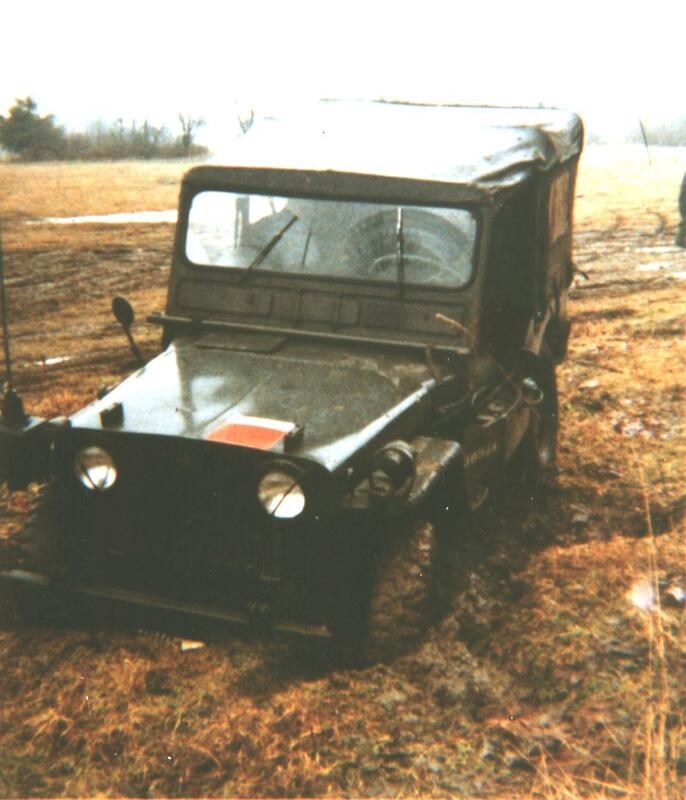 I still retain a lot on knowledge of these vehicles as I was in the hobby for 40 years. 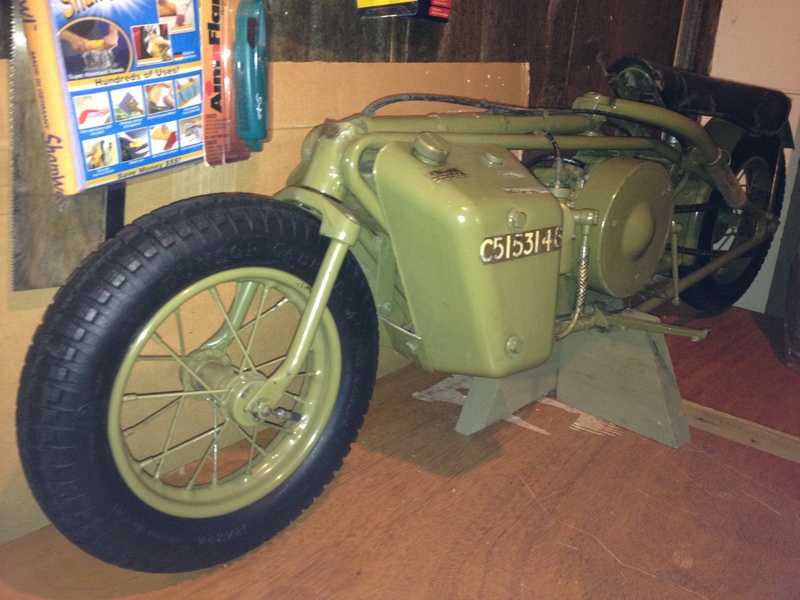 1942 BSA Airborne Bicycle, First Pattern SN R4154 Sold to Colin Kirsch in UK. 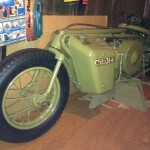 1942 BSA Airborne Bicycle, First Pattern SN R6387 sold to Colin Kirsch in UK. 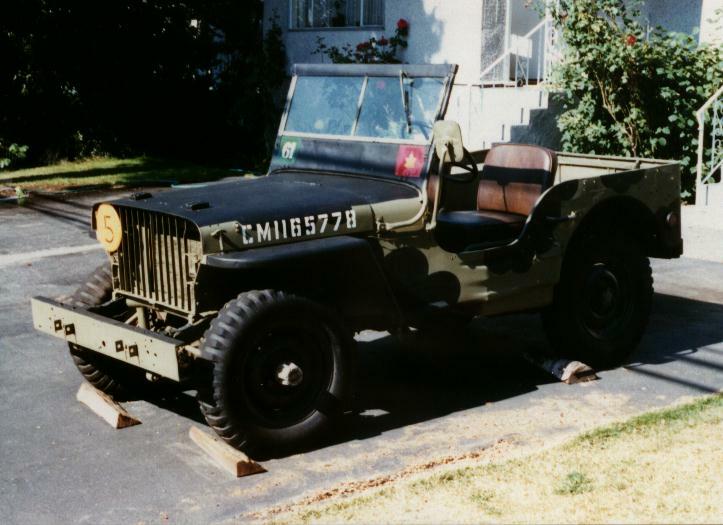 1943? 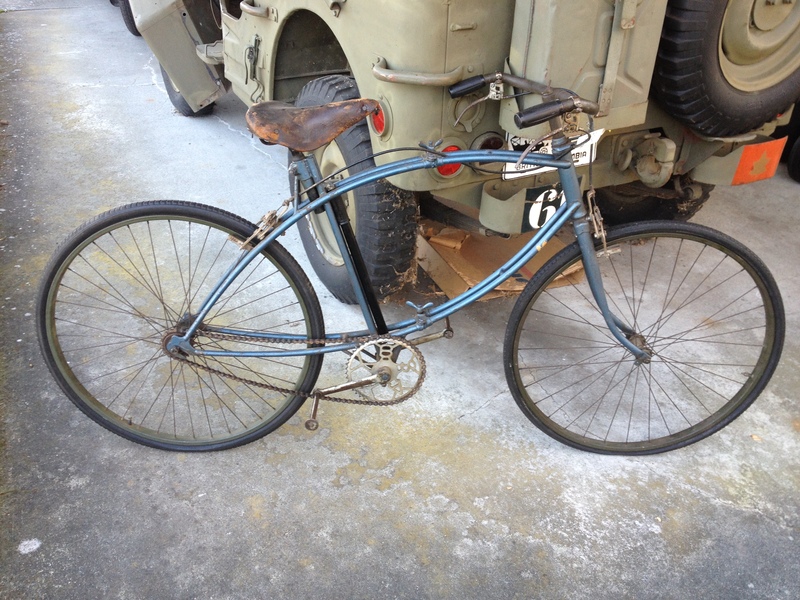 BSA Airborne Bicycle, Second Pattern R34203 sold to a collector in Brazil. 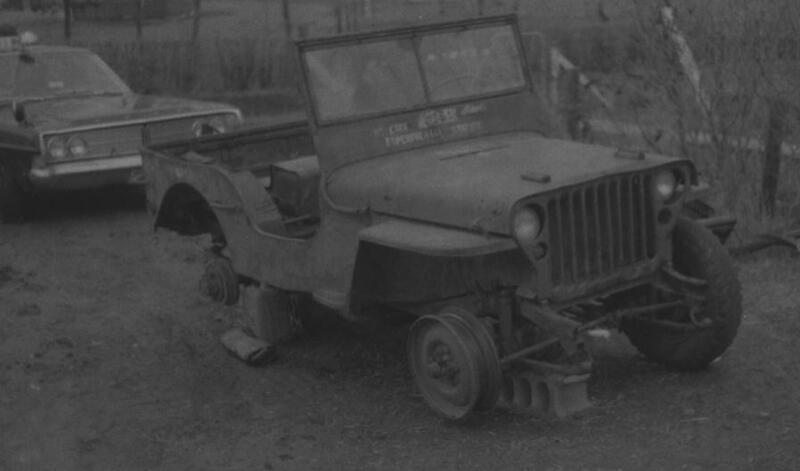 Serial number 1253. 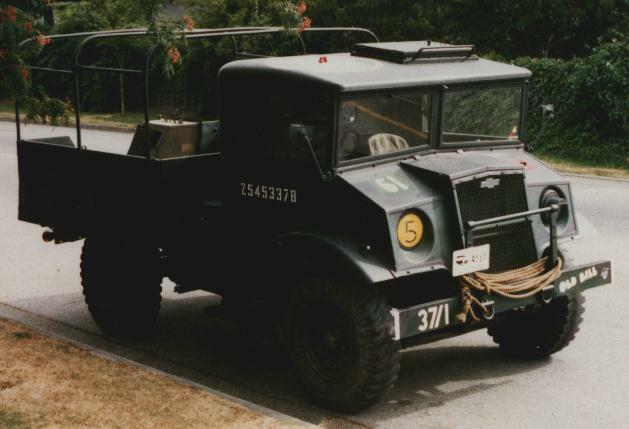 WD number not known. 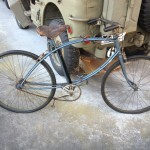 Used by Shriners in California after WWII and painted blue. 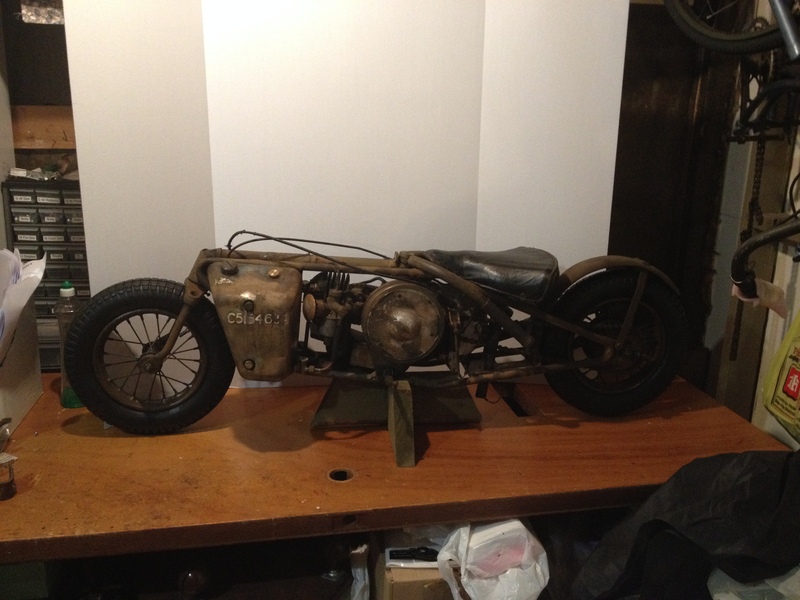 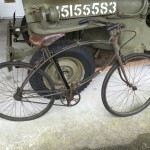 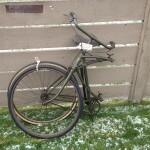 1943 Welbike MK. 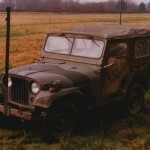 II SN 2348 I STILL OWN THIS ONE. 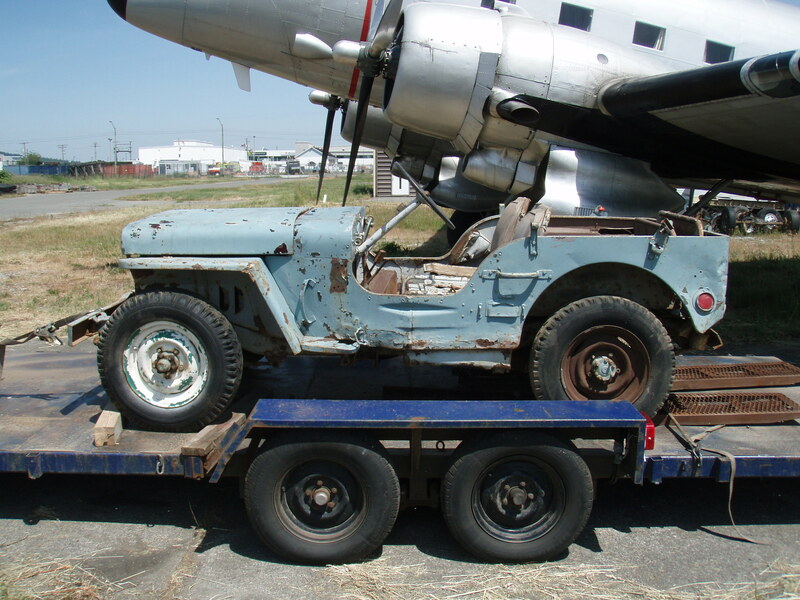 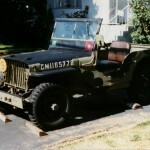 1942 Willys W-LU 440-M-PERS-1 SN MB155796 Last reported to be in California. 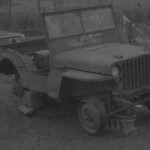 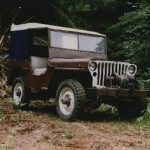 1942 Willys MB-BRT MB127345 British contract jeep. 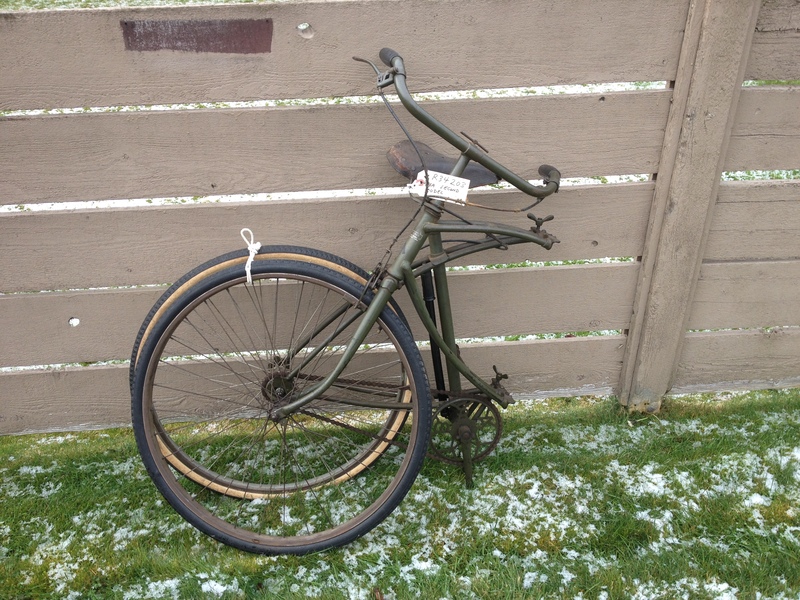 Purchased in 2007 from Grant Hopkins of Saanich, BC. 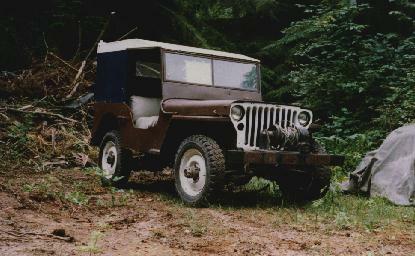 He bought it from a fellow on Goudge Island, near where the ferry comes in from Vancouver to Schwartz Bay. 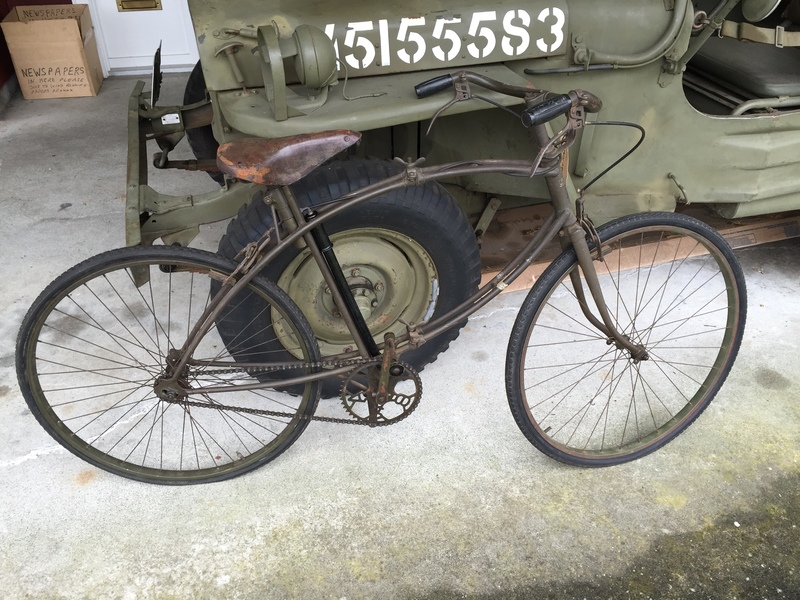 Rusty but very original. 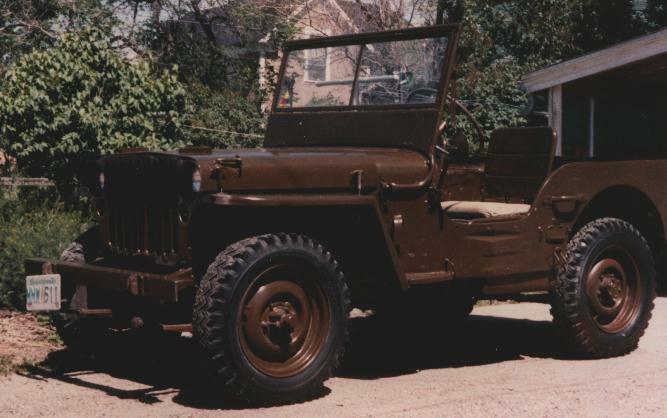 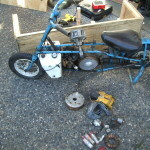 Has all three seats, radio filter, original gas tank complete with rubber insert to keep items from falling into gas tank well at front edge. 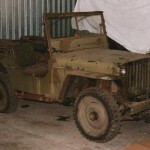 Hood is a later one (no wind deflector under the leading edge) and has a hole at the front and centre which suggest that it had a General officer's flag staff fitted. 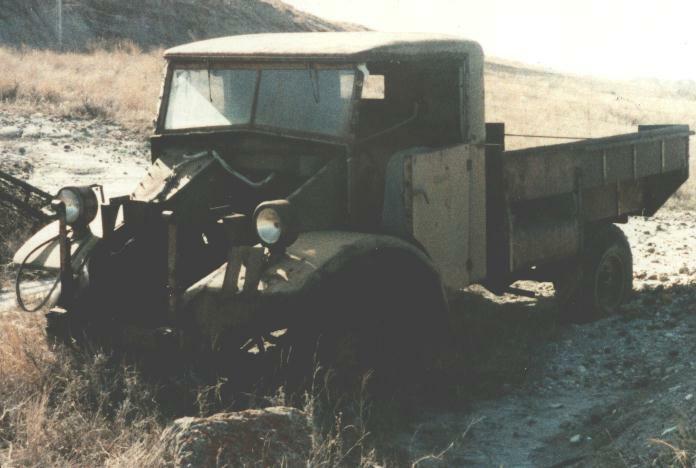 Vehicle had original green paint underneath but is typical of those sent to North Africa in 1942 - some of which were used by the LRDG, SAS and PPA. 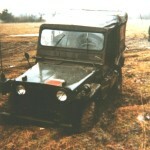 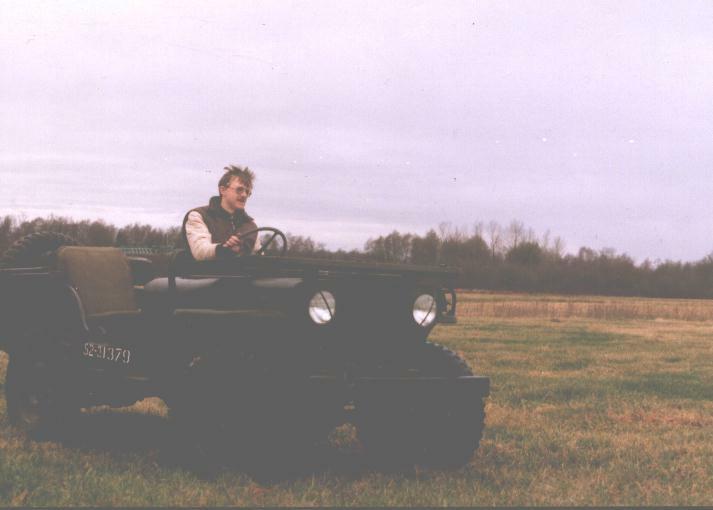 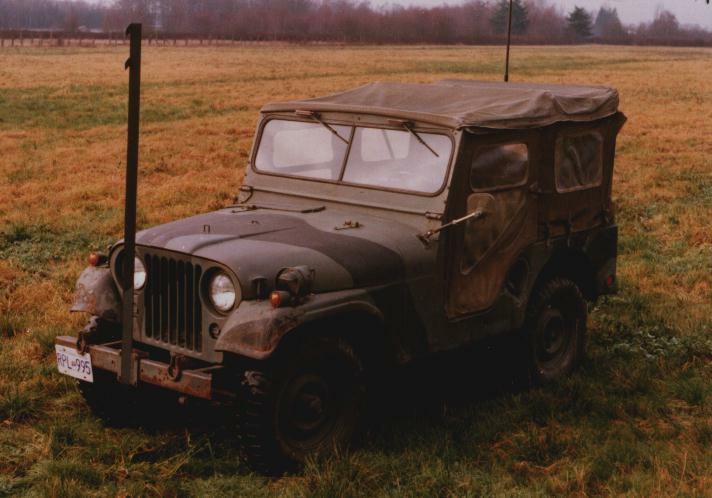 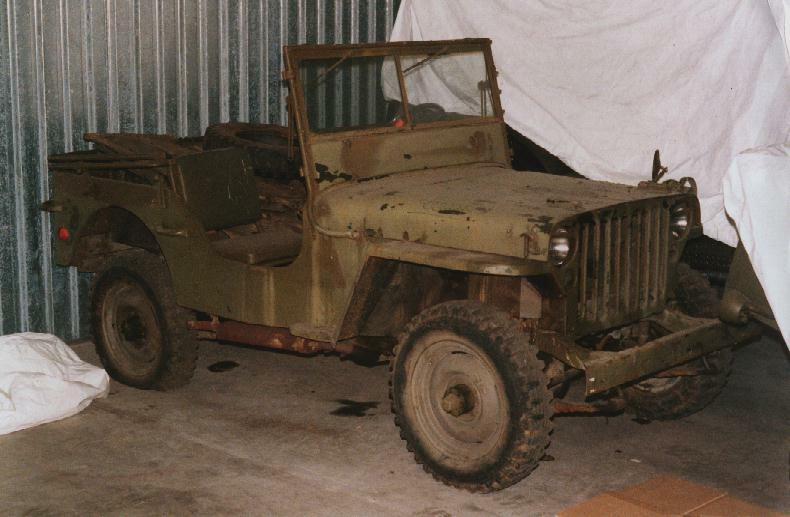 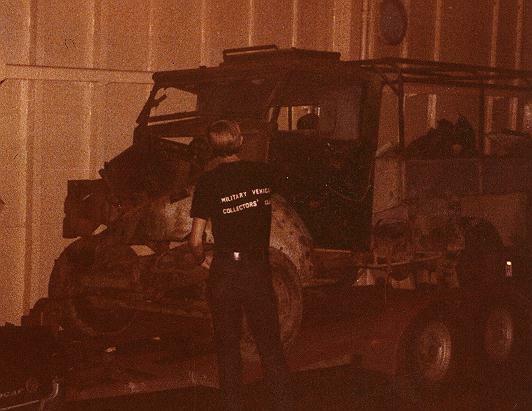 Willys MB 1121 as it arrived in Canada, exactly as it left the Norwegian Army in 1985. 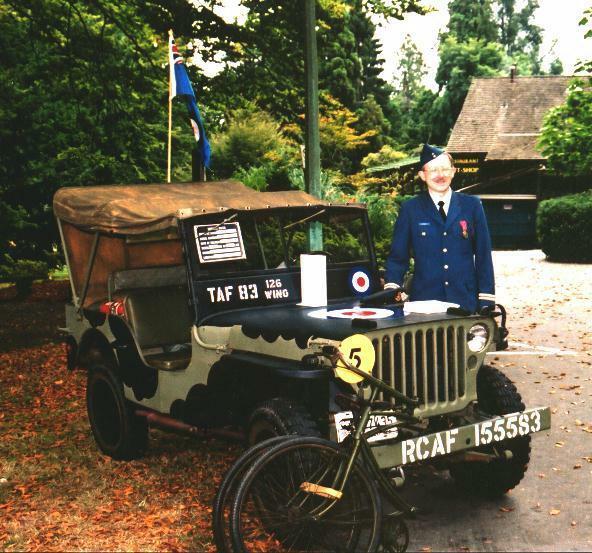 Colin Stevens with this MB jeep at a Battle of Britain Parade. 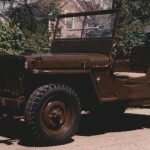 1944 Willys MB USA Reg. 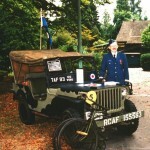 # 20737814, British WD census number not known; Norwegian Registration Number 5583. 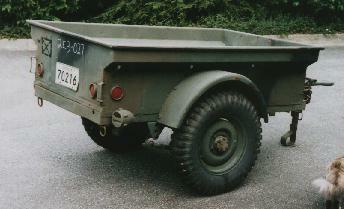 VIN VDN-1121 (renumbered by the Norwegians.) 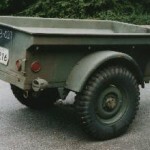 Served in Norwegian army Engineers and Haerens Vapenstekniske Korps (Aermy Weapons and Technical Corps) in Oslo. 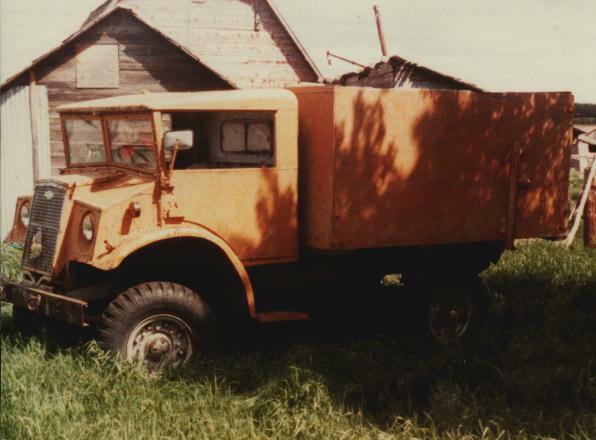 Sold surplus at Voss in 1985. 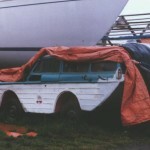 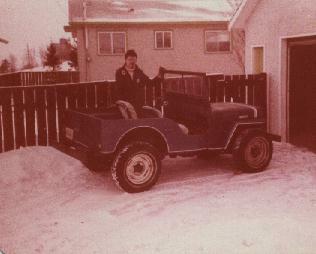 Sold to Atlantic Automotive in UK, then to Brian Wood in Vancouver. 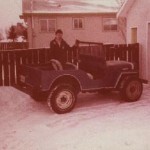 I bought it in 1996. 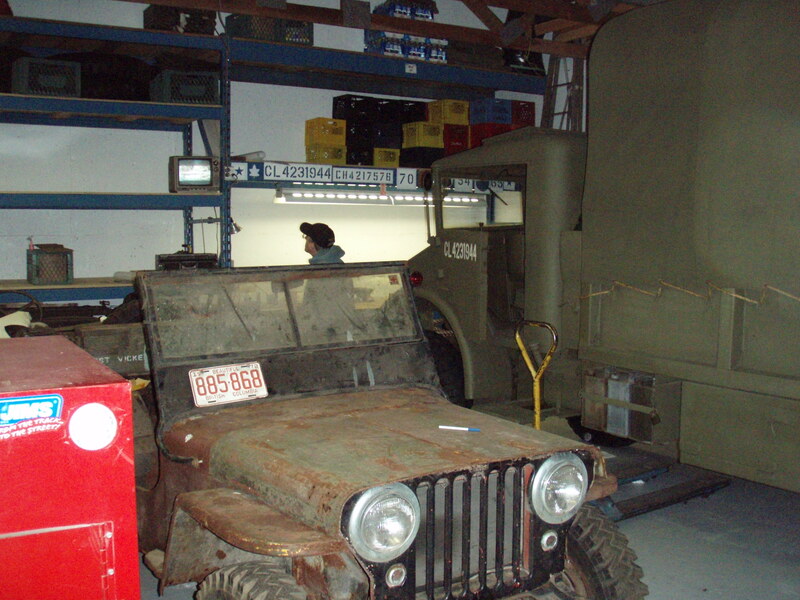 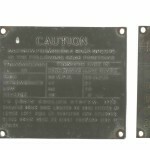 1943 1943 GPW109582 used at Suffield Experimental Station, Defence Research Board in Alberta. 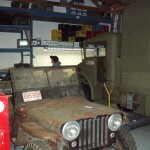 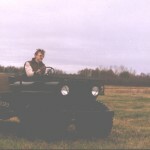 1942 1942 GPA amphibious jeep, SN GPA4545, one of only two then known to be in Canada. 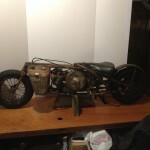 Like "Half-Safe" it had been modified for world travel. 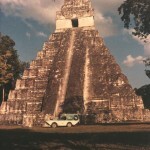 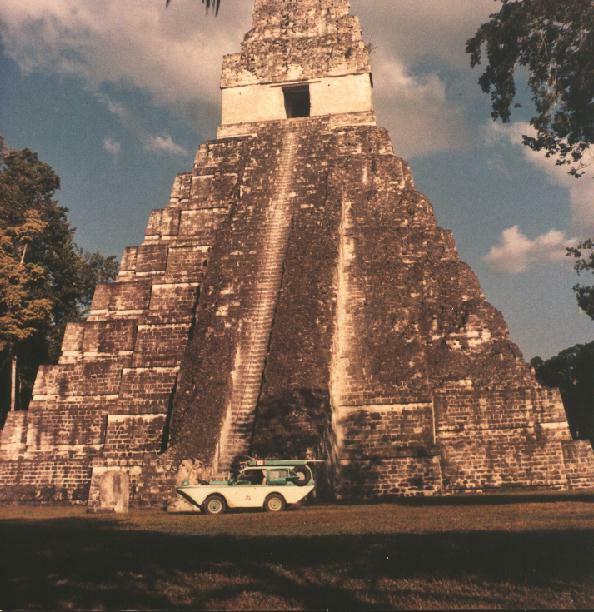 It travelled from Toronto to Panama, stopping at the Alamo in Texas and the pyramids at Tikal, Guatemala. 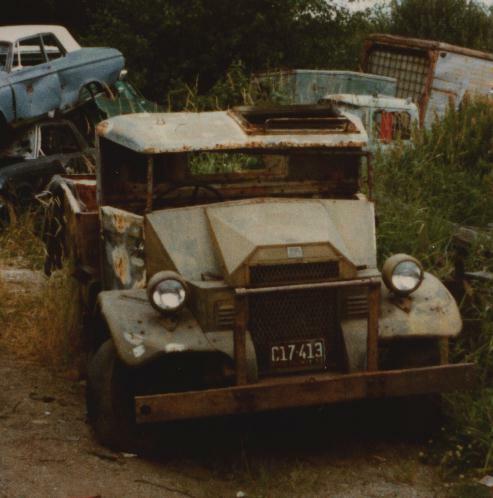 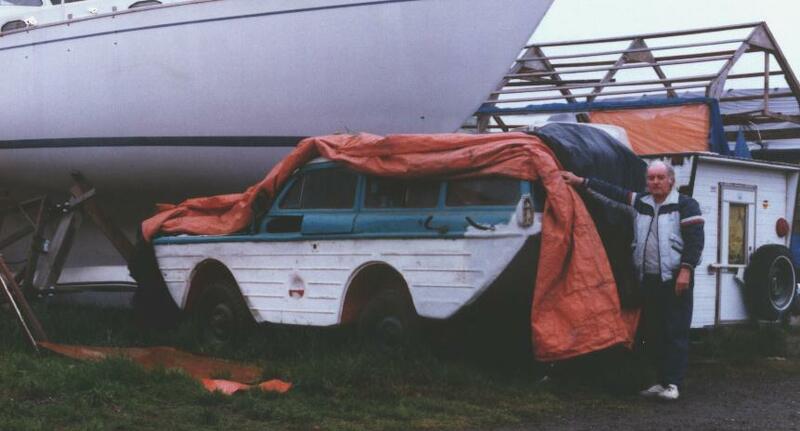 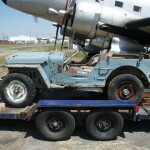 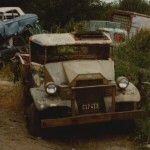 1941 Ford F-8 found in a junk yard, Surrey, B.C. 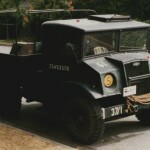 1941 Ford F-8 found on one of the Gulf Islands, B.C. 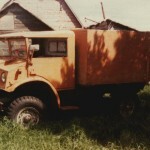 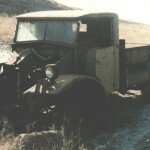 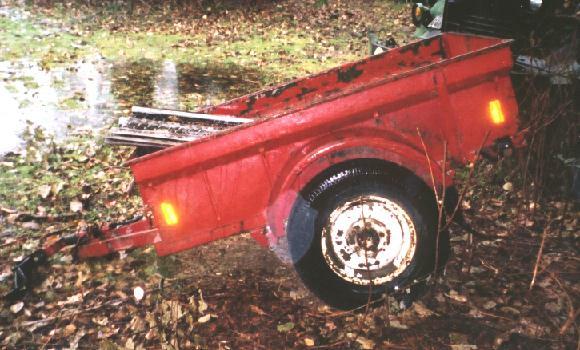 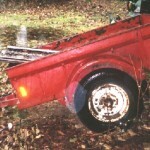 194_ Chevrolet C-60L One-third ownership. 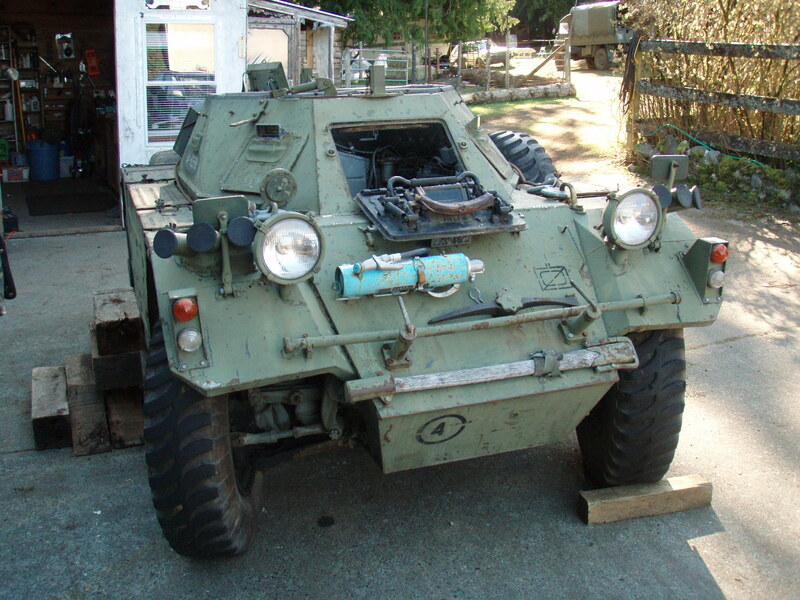 1954 Ferret Scout Car Canadian Army Registration Number 54-82598. 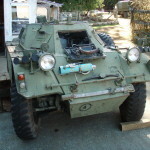 This Ferret had served at Combat Arms School. 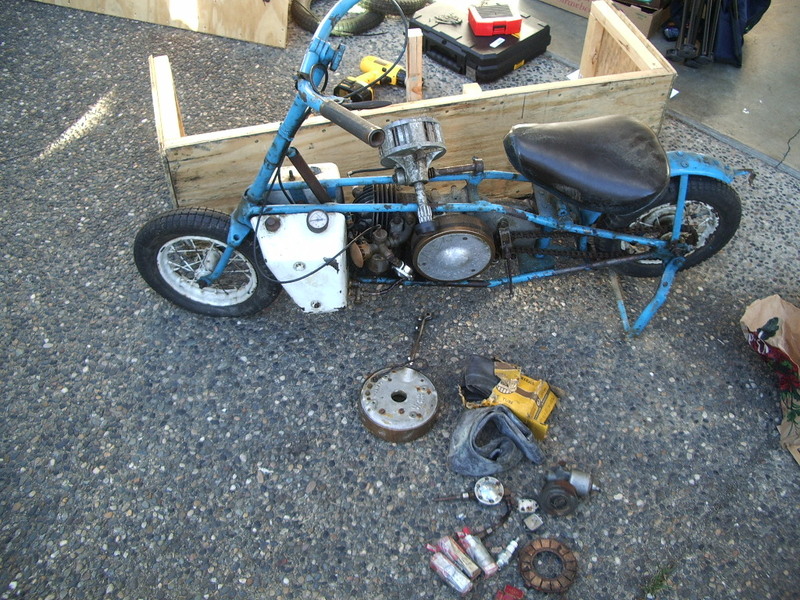 It is now in Edmonton.